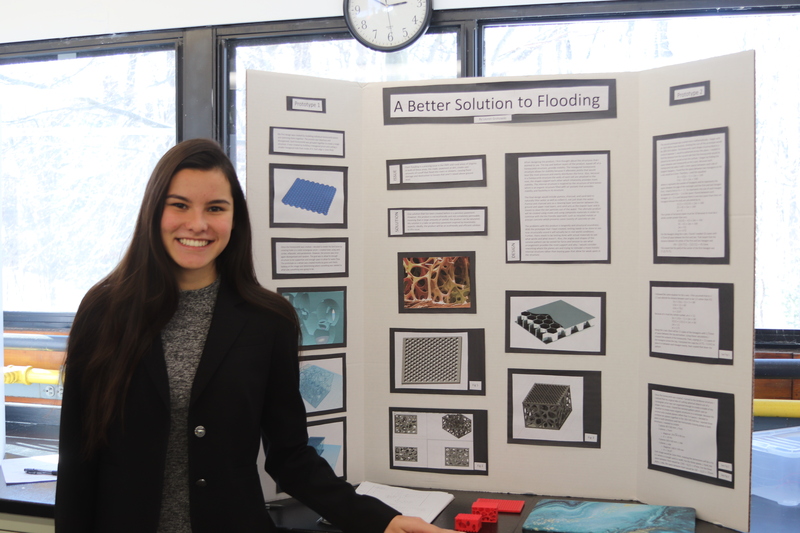 Lauren Grohowski ’19, "Better Solution to Flooding"
The annual Madeira Science Fair showcased impressive projects from ninth graders to seniors. Judges from various scientific fields inside and outside the Madeira community reviewed all projects in three categories. 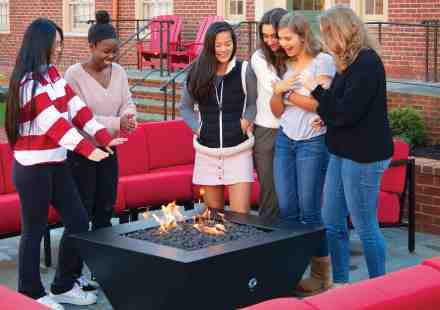 1st place to Alli Hoang ’19 and Olivia Kaczmarsky ’19 for "CO2? Take it or Leaf it"
1st place to Lauren Grohowski ’19 for "Better Solution to Flooding"
1st place (tie) to Heston Friedrichs ’21 for "ASMR & the effects on the brain" and Sharon Ge ’19 for "Predicting the Risk of Stroke"
Honorable Mention to Megan Grohowski ’19 and Shreya Sangela ’19 for "The Answer to Cancer"
Honorable Mention to Tarina Ahuja ’20 and Gabby McClellan ’20 for "MARS: Colonizing the Red Planet"
Honorable Mention to Kathryn Fronabarger ’19 and Sophie Luraschi ’19 for "Ethical Animal Testing."